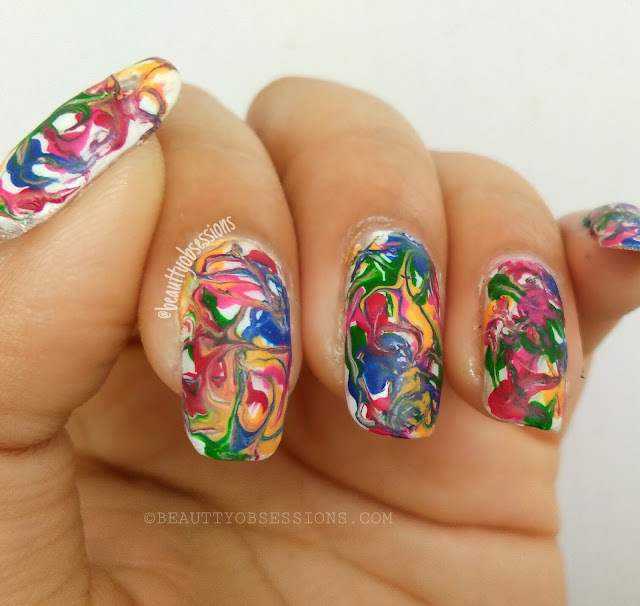 Happy Holi ... | Multicolour Drag/Dry Marbel Nailart Tutorial.. The festival of colours is just one day away .. Everyone is busy in buying colours, making sweets at home ,etc. Holi is a very funfull and exciting festival of India . But on a serious note i want to tell you all to play a safe holi and don't waste much water ..Always prefer to play with organic ,eco-friendly colours.. There are few posts on blog regarding Holi celebration, you might check..
Well,now come to the point , I have tried to draw a holi inspired nailart to cherrish the festival of colours. 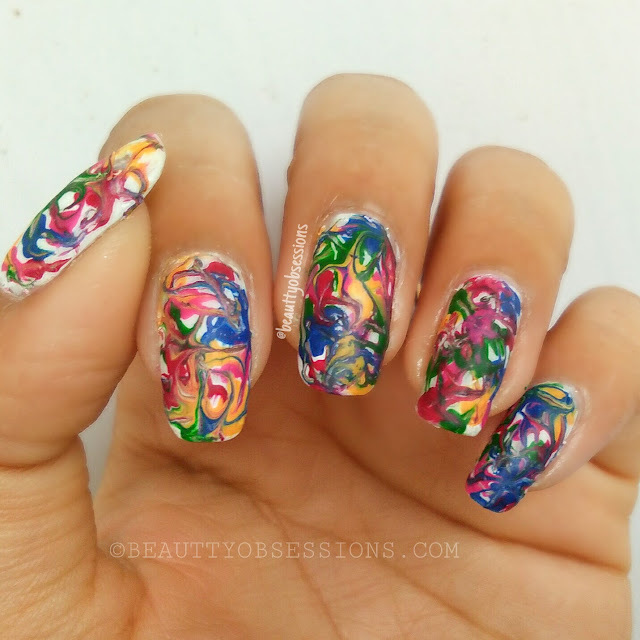 Here i am using drag marble technique to create this colourful nailart. For the art i need few bright colour nail polishes,a white polish and a toothpick. Here you can draw one nail at once because we have create this design on wet nail. First apply a base coat ,here i am apply a white polish as base . Then when the base colour is still wet ,put few random drops of bright colour nail polishes. Now take a toothpick and drag the colours roughly everywhere.. See the below picture to get an idea.. Then wait till the design will dry and apply a layer of top coat to seal the art.. Here i have applied a matte top coat ,you can also apply a shine top coat.. Done ..
Now see the final design.. Don't worry if the design is looking messy because holi colours are always in messy condition,right..
See some more awesome Holi nailarts HERE..
Hope you liked this tutorial .. Do share your feedback in comments.. see yaa.. I absolutely love this... and never thought it would be so simple to do. Gonna try it out for sure! Wow..loved it. The best part is that its easy too. I a going to try with my girls soon. Lovely design. I might be successful in making a lousy version of this. Awesome dear..I am a big fan of your nail arts...Start doing youtube videos also. How could you manage time! Its really appreciating. wow. I love this nail art so much. I love colors and this is like you have put all the colors on each canvas. 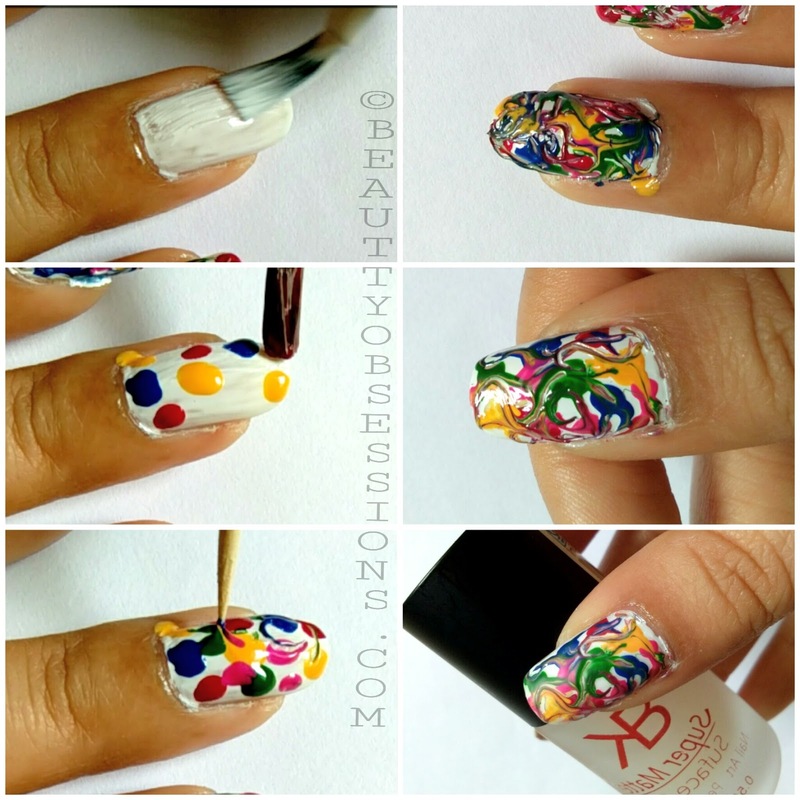 Amazing nail art tutorial.. perfect For Holi. Happy Holi to you and your family !! thats a very beautiful nail art. would try out soon. I am in love with your nail arts. I always look forward to your tutorials for special occasions & festivals. 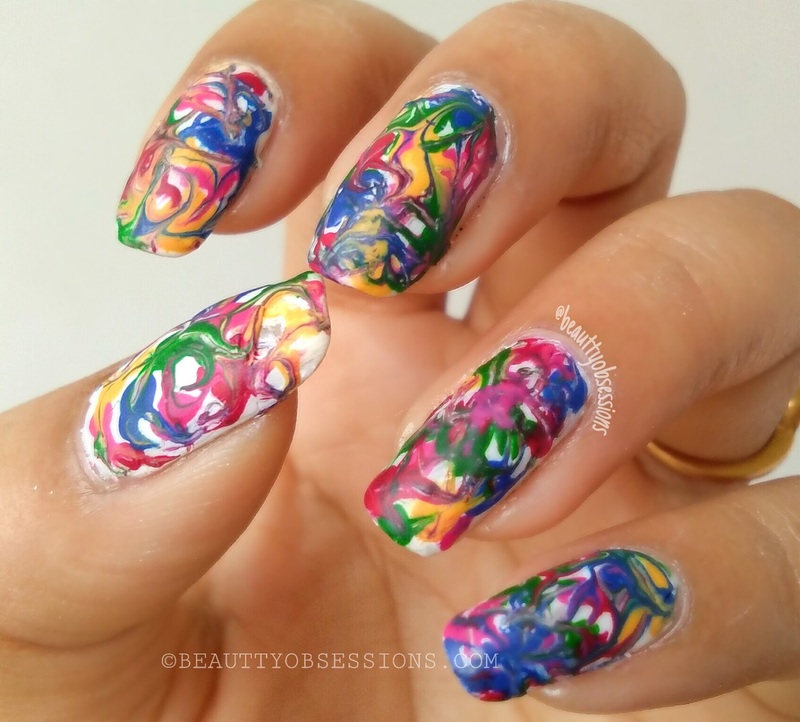 Loved the holi inspired nail art. 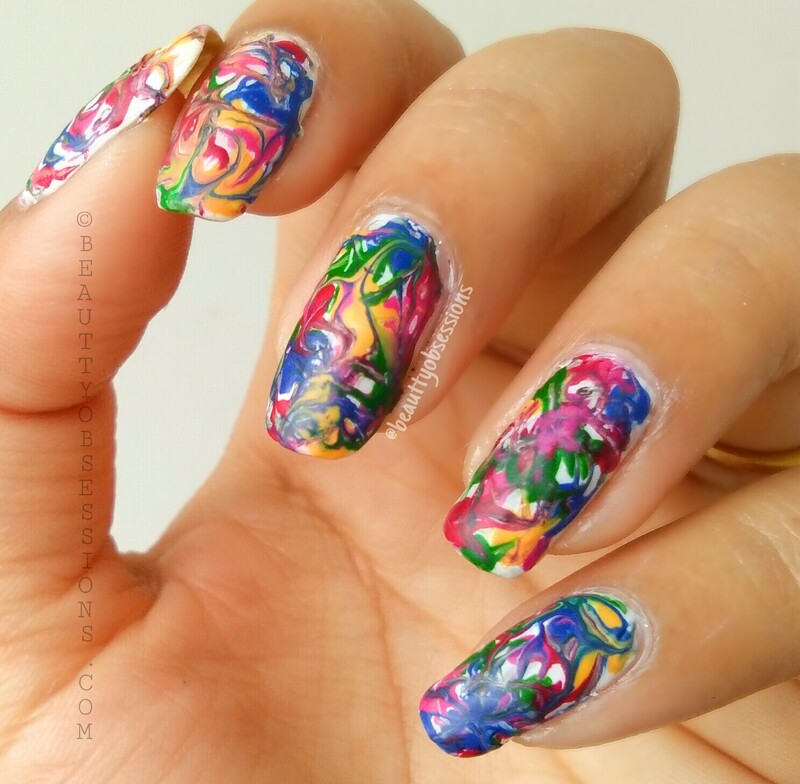 Amazed at this colourful nail art, you're super talented!! Wow Super easy and quick for beginners too. I'm so spellbound. It initially seems difficult and time taking, but it is absolutely not. thanks for sharing such lovely nail art. This holi multicolor drag dry marble nail art looks pretty awesome and it's so easy. 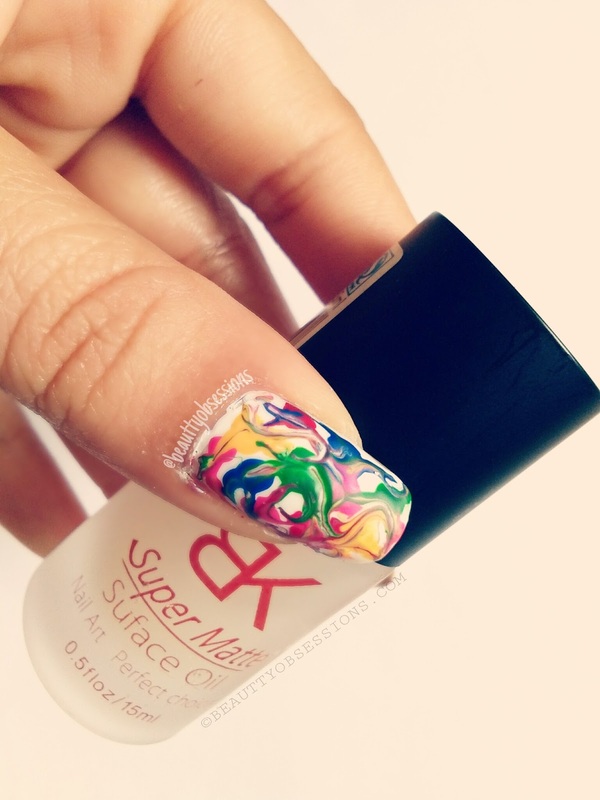 I will surely try this on my nails.